Okame Cherry is one of the earliest blooming Japanese Cherry Blossom trees in our area and is a sure sign that spring is right around the corner. 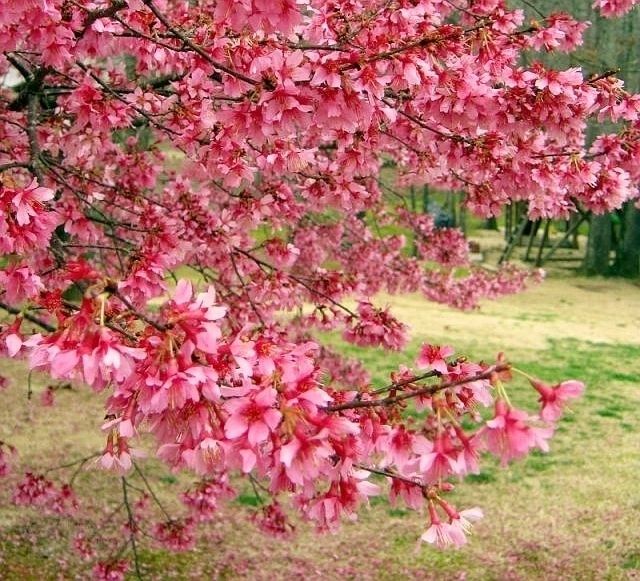 When spring hits, the Okame Cherry automatically becomes the center of attention in your landscape with its beautiful large pink blooms. FACT: In the early 1900’s, the Japanese sent thousands of Cherry trees to our capitol as a gesture of friendship. This gesture is celebrated today during the National Cherry Blossom Festival, when the streets of Washington, D.C. are filled with flowers for weeks.